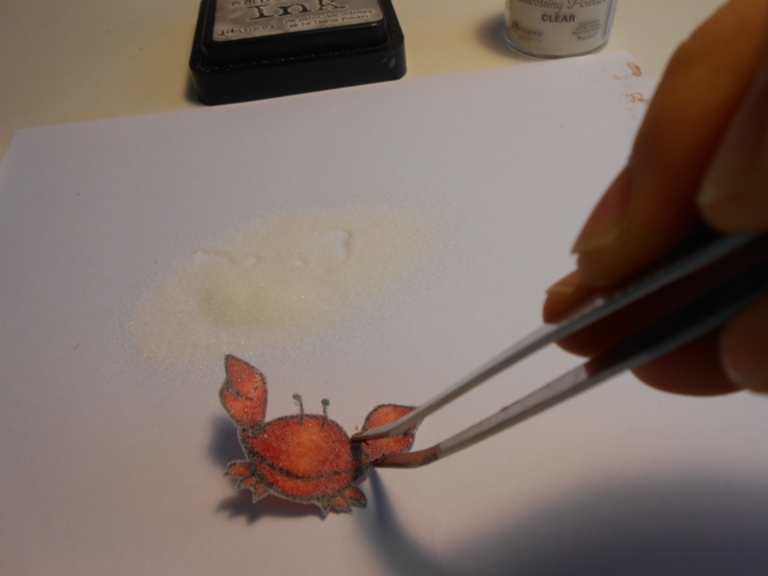 Hi everone, it is Timi here again. 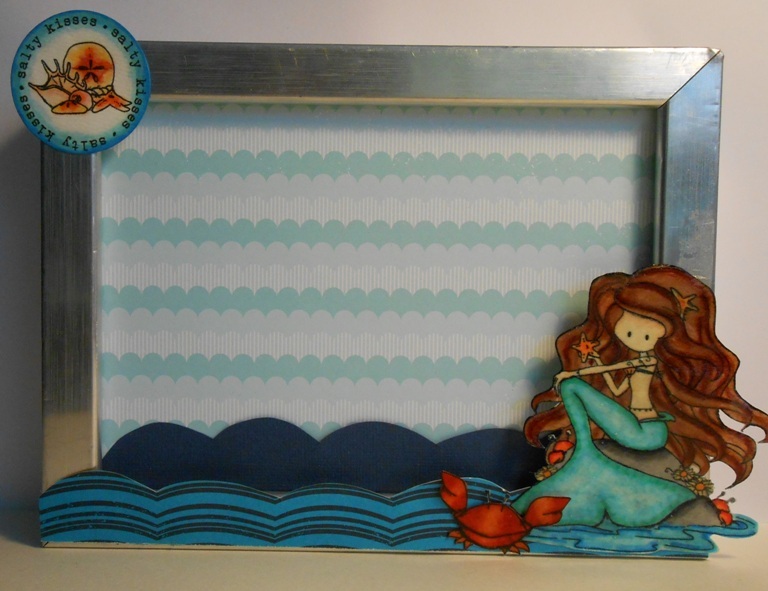 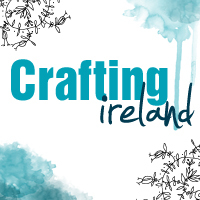 Today I am going to share an idea for a summer altered frame. 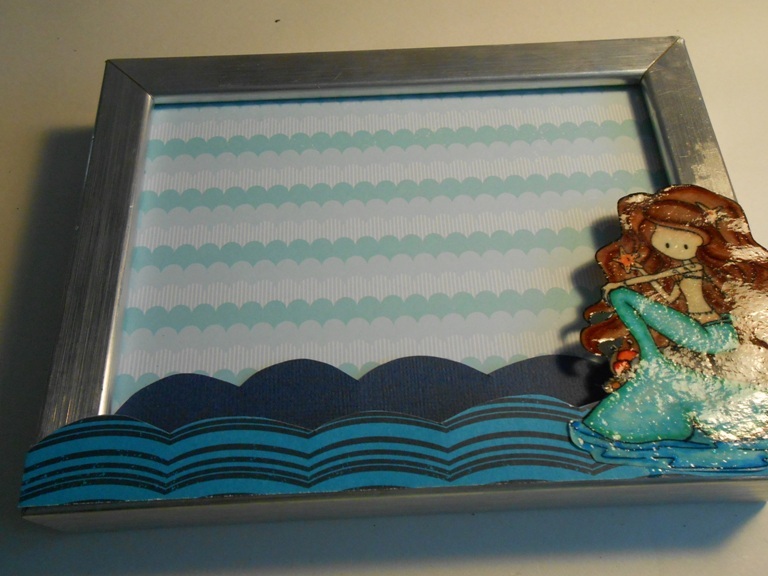 I had this frame for long and I could’t really use it, because the little clips in the back are gone. 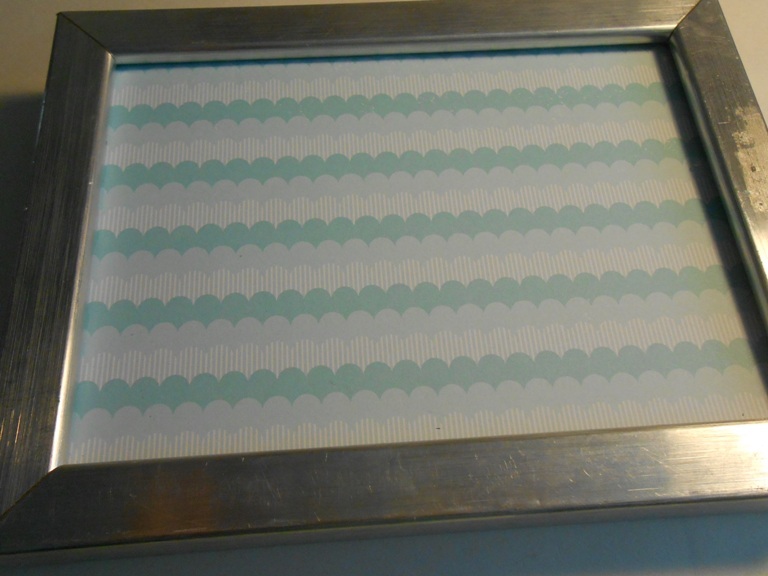 I tried to fix it, but couldn’t. 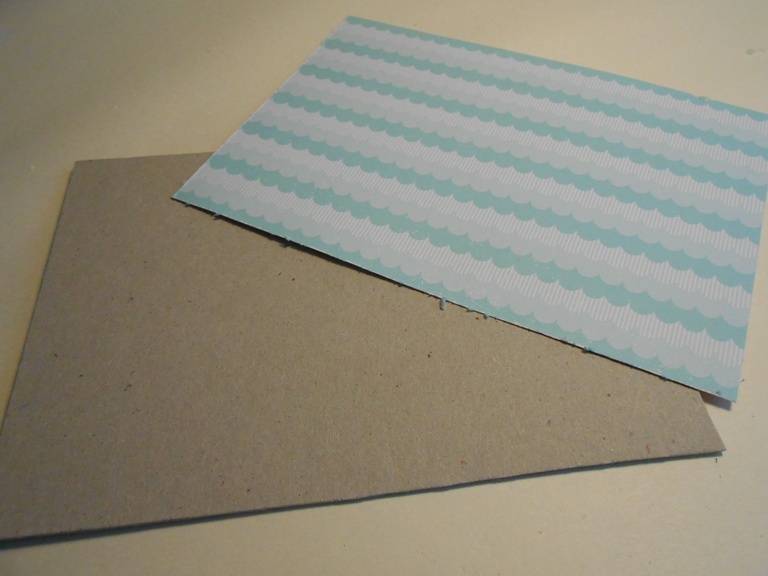 So then I decided that I glue chipboard and patterned paper to it and then use it that way. 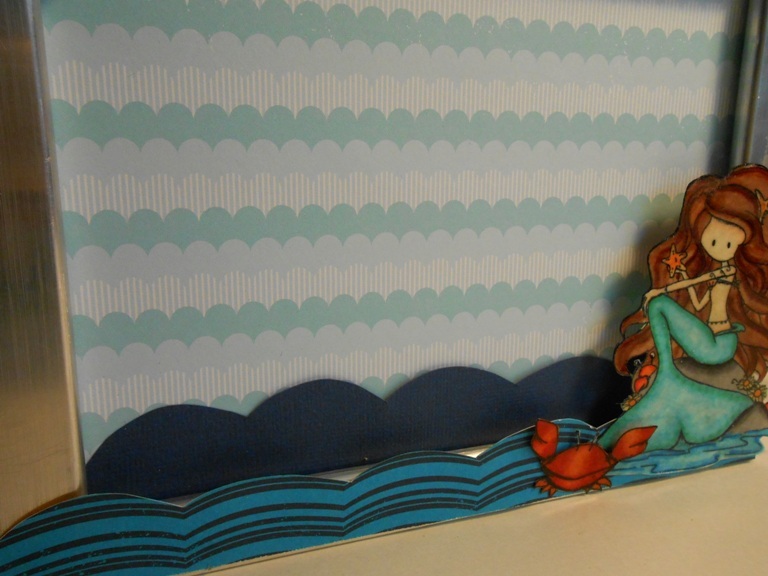 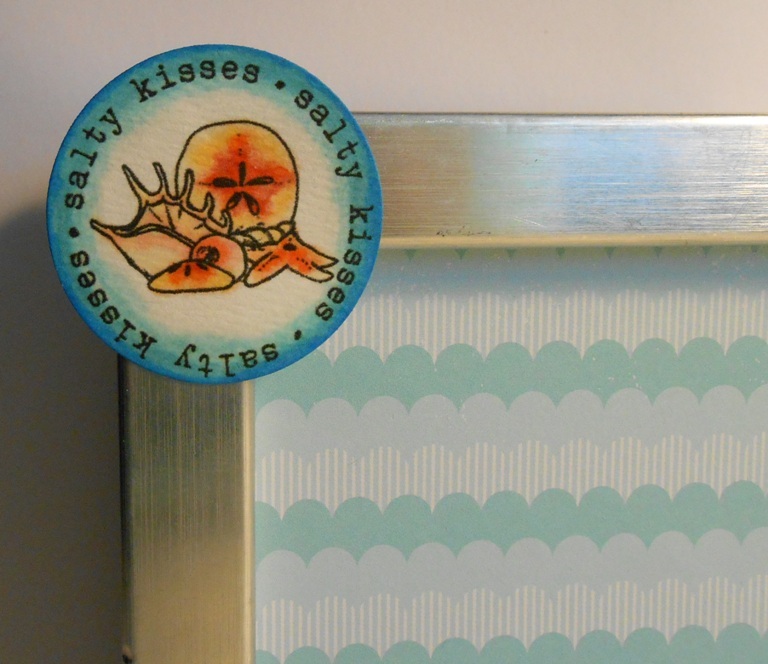 I decided on a summer and sea life theme, hence the blue patterned paper. 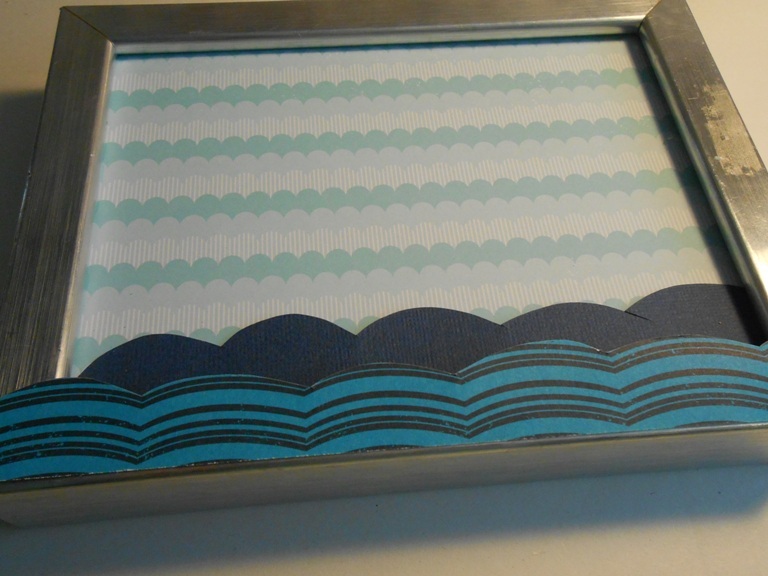 I added more ‘waves’ to the front of the frame. 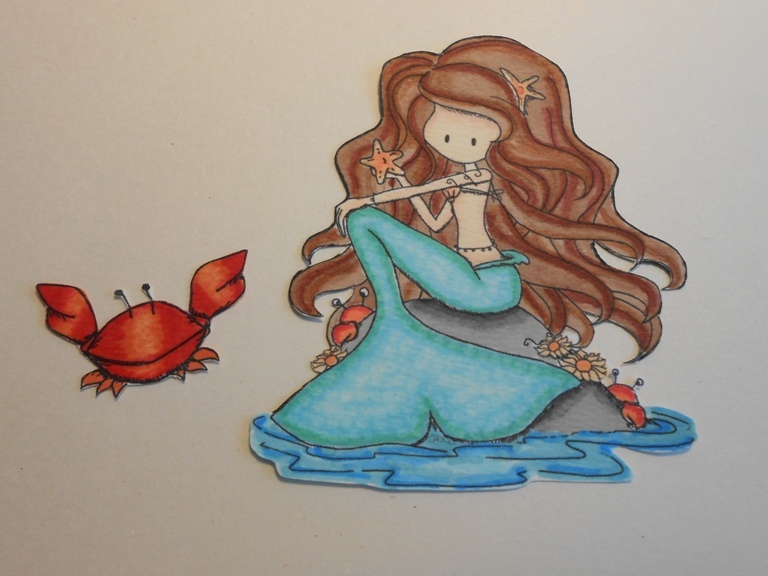 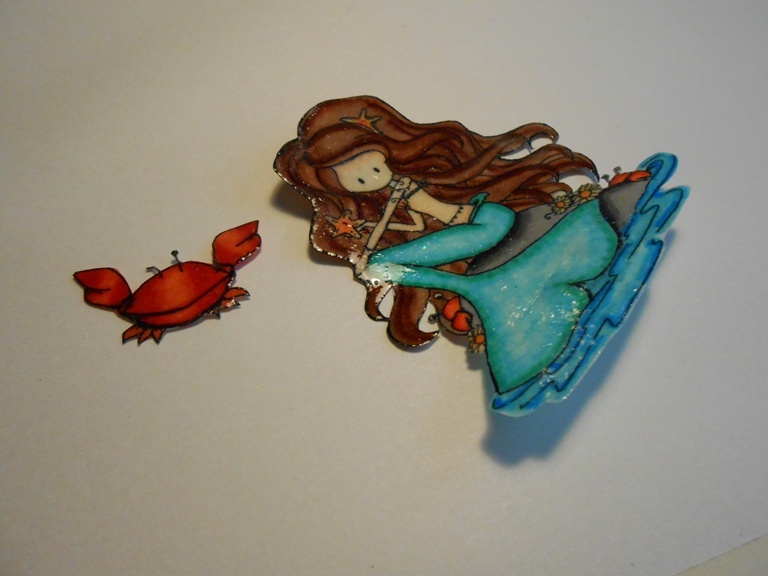 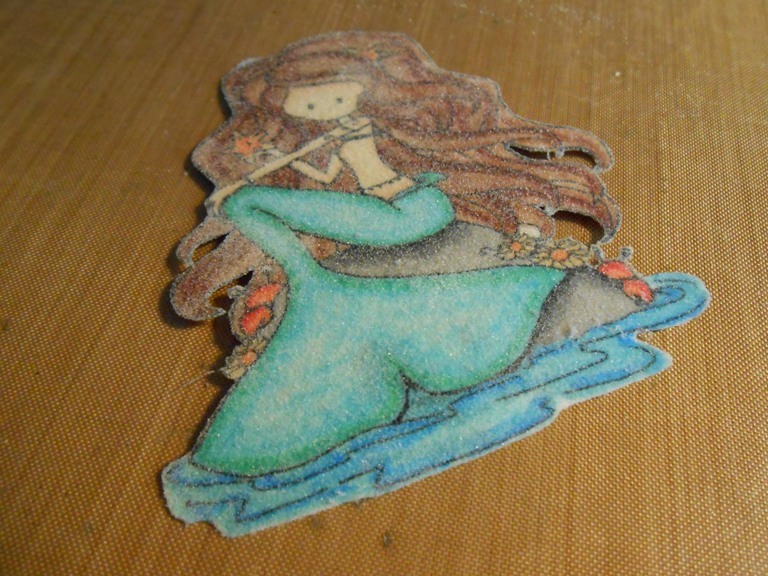 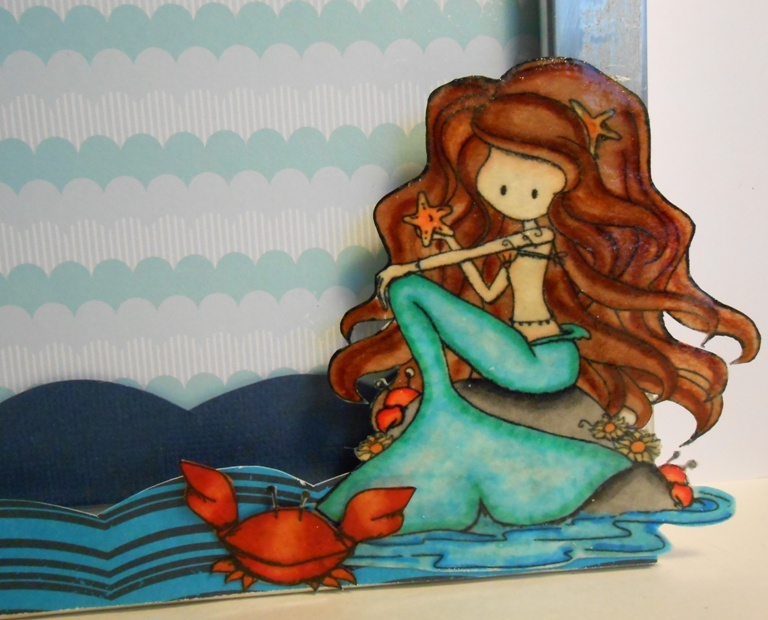 Then I coloured in a mermaid image and a liitle crab to go with it. 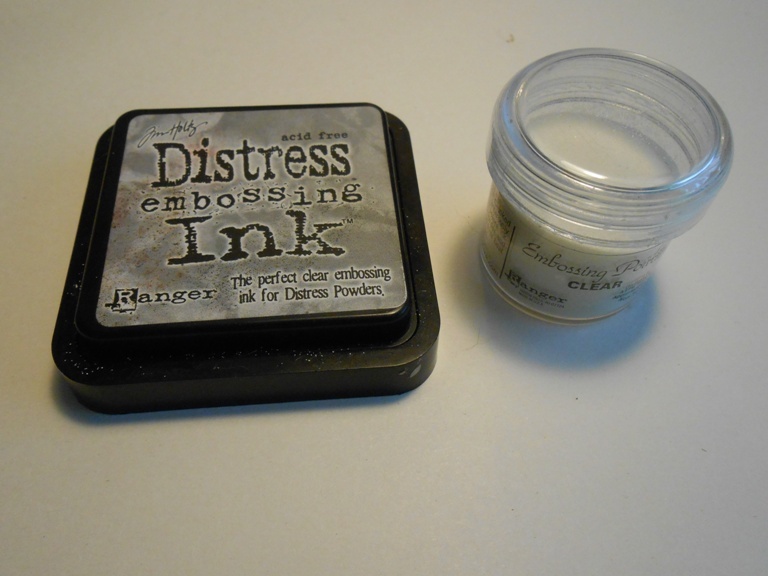 To make it a bit more shiny I applied embossing ink on the image and embossed it with clear power. 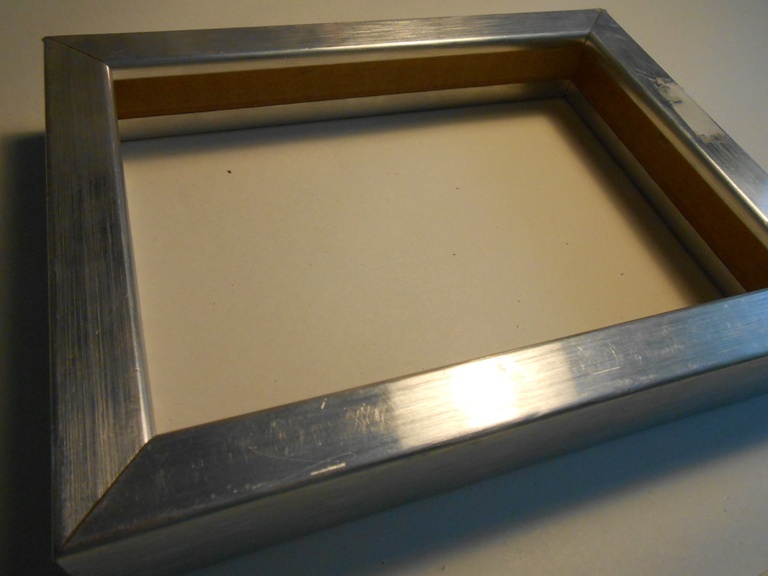 And finally I glued the images to the frame.